Looks like it's time to "Celebrate" with Empire of the Sun again, as the Australian electro-pop duo have announced their first full-length release in three years. Titled Two Vines, the group's third album is out October 28 through Astralwerks. After teasing the arrival of new music earlier in the month, it's now been confirmed that Luke Steele and Nick Littlemore are following up 2013's Ice on the Dune with a new 15-song collection. 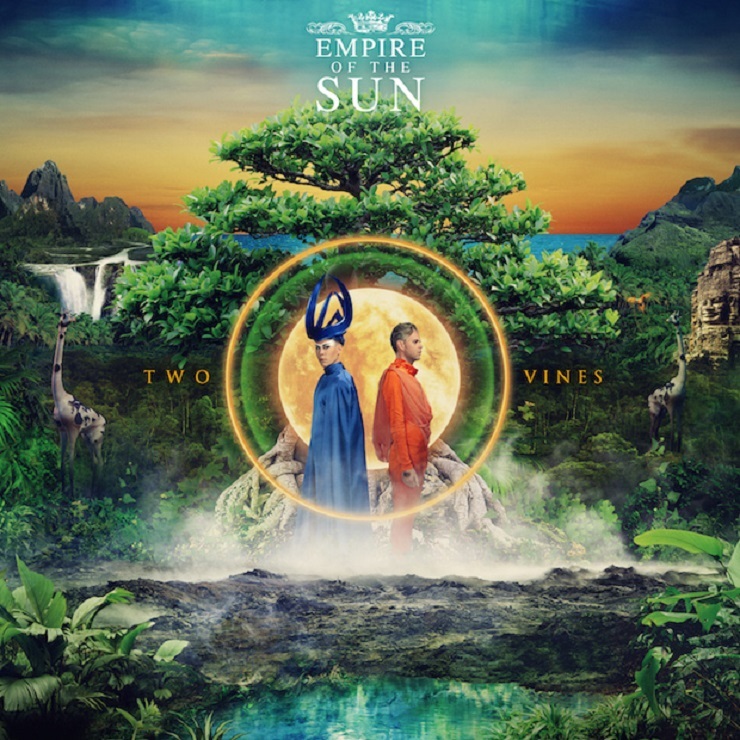 Two Vines was recorded in Hawaii and Los Angeles, with Empire of the Sun sharing production credit with Peter Mayes (Sia, the Killers). A press release adds that the group reached out to a handful of friends to help put the new record together. This includes Fleetwood Mac singer-songwriter Lindsey Buckingham and Wendy Melvoin of Prince's old backup band the Revolution. Pianist Henry Hey and bassist Tim Lefebvre, who had performed on David Bowie's Blackstar, also appear on the album. A statement from Littlemore explains that the album took shape after he and Steele started discussing an imagined image "of a modern city overtaken by jungle, almost like mother nature taking back the planet." He added of the backdrop: "All the buildings will turn back to sand. All it will be is nature again. We wanted to make something that reflected the beauty of that, and the wisdom that plants can give us about living harmoniously on this beautiful planet." Though it's yet to be revealed, the first single from Two Vines will be "Highs and Lows. Interestingly, as you'll see via the tracklisting down below, the record is capped with the pop outfit's 2008 single, "Walking on a Dream." You'll find the original version down below.